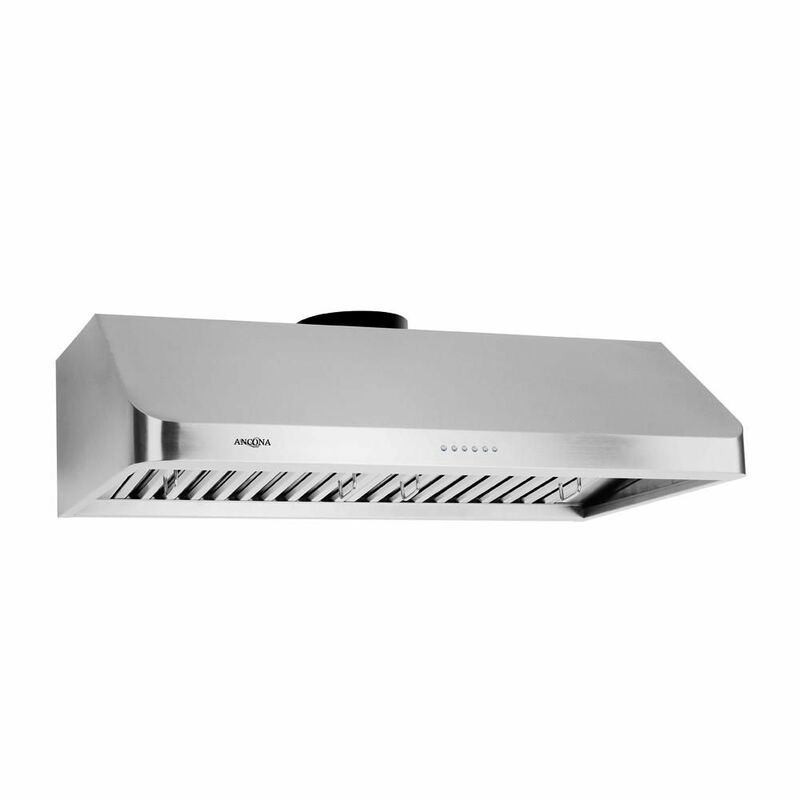 UCA 636 36 inch Range hood with LED Lights Let Ancona Chef Series bring the high standards of professional range hoods to your home. Made with commercial grade stainless steel, the chef under cabinet with LED lights model combines power and elegance featuring stainless steel baffle filters, 4 speed electronic controls and LED lights. Ancona's professional design delivers quiet yet powerful ventilation and easy-clean convenience. UCA 636 36 inch Range hood with LED Lights is rated 3.5 out of 5 by 2. Rated 4 out of 5 by FanMark from the quiet setting is not as quiet as I hoped.... the quiet setting is not as quiet as I hoped.